At Quit Smoking Expert people come to me to stop smoking cigarettes in 60 minutes. They think that once they have quit smoking they will have a healthy life. It’s not that simple. Quitting smoking cigarettes is really just the beginning of leading a healthy life. Unfortunately a lot of people do not realise this and become disappointed. One of the really bad habits that I frequently encounter is the substitute of food for smoking. It is a complete myth that you substitute food for smoking. It is a choice and often I see people make a choice to eat more. When we are getting ready to go into hypnosis people will frequently say to me that when they stop smoking they will eat more. Our quit smoking process is all about replacing smoking with breathing fresh air. It’s not about substituting smoking with eating! Realise that when you eat to replace smoking you have made a conscious decision to do so. Instead why not make a conscious decision to exercise and eat healthy. By quitting smoking you are opening the door to eating better and exercising. With a smoking habit it makes these habits hard to do successfully. Quitting smoking cigarettes enables you to exercise easier and to eat better. When you decide to quit smoking also decide to do the habits that will enable you to lead a healthy life. 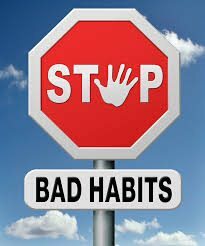 Habits such as: eating healthy and exercising. The act of stopping smoking is a great step forward but it is not the be all and end all of living a life of longevity and vitality. Previous	Stuff Health I Want to Smoke!